Hey there guys! Its now time to wrap up the Digital Dozen celebration week! So why not end it with a bunch of balloons, that being said lets take a look! 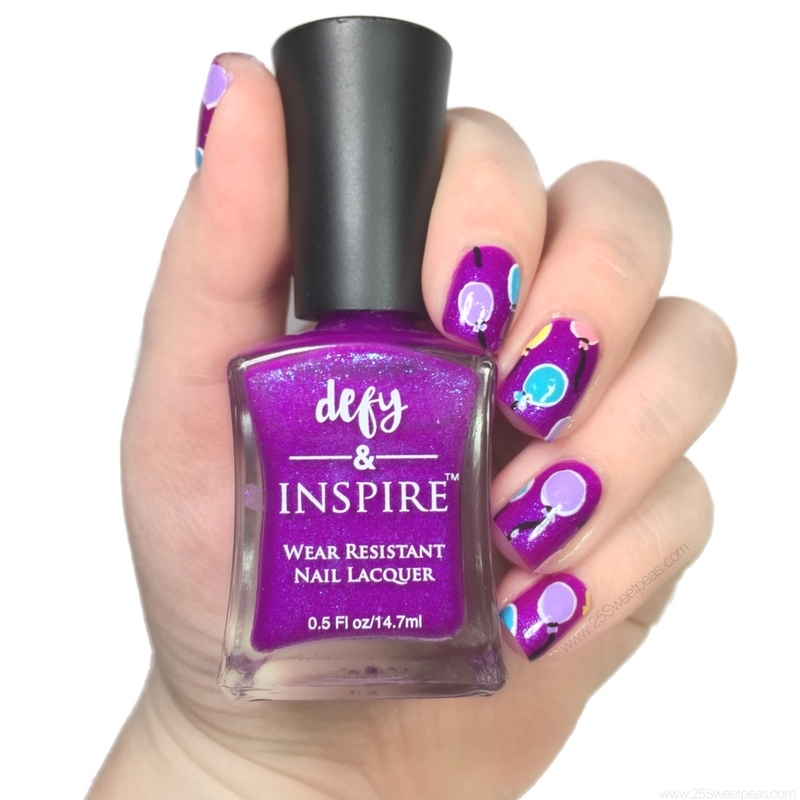 The base color is Defy & Inspire Purple People Eater. Its such a GORGEOUS purple polish. Dare I venture to say my favorite purple polish! I love its shimmer that is almost hidden. Plus that top coat makes it just come to life. 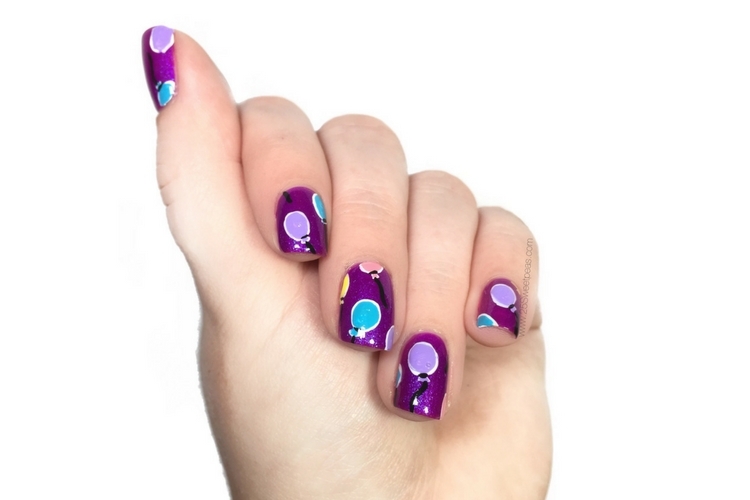 I used acrylic paint and free handed all of the balloons which believe it or not was pretty simple and easy to do. Plus kinda fun. Balloons! :) That base is stunning, I need to pick some of those babies up! I love them! Seriously I'm beyond impressed with this brand! They just released another new collection and its amazing! Balloons are so cute! Purple base is fantastic. Oh wow, Purple People Eater is so gorgeous, you're making me want it!